Align Bearing Shells and Bores. Bore Alignment using the Boralign System measures alignment by tracking a laser beam displacement over the surface of a position sensing detector to the nearest 1/1000mm as the bore surface is probed. Because this position detector measurement is made accurately, the alignment correction will be more reliable. Features like an internal inclinometer and a four-axis position sensor detector with NIST traceable linearization enhance accuracy. Work is able to continue on the engine during the alignment because a laser based system is employed. There is no need to suspend work during the alignment process because the line of site of the laser beam can be broken at any time without affecting the reference line for future measurements or correlating them to past measurements. 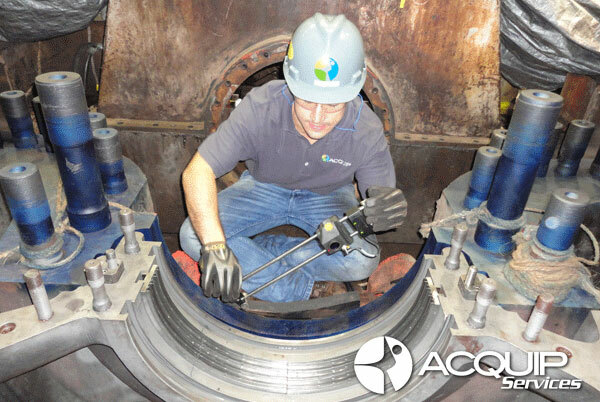 For more information about our bore alignment service contact us at +1 305 538 7101 or email us at info@acquip.com and get your free consultation.